Rounding into the last month before Kristen & Cale tie the knot, I thought I would share our engagement session we did this past fall. This was my first time out at Wildcat Park, and from the moment I walked to the back I knew I would love it. 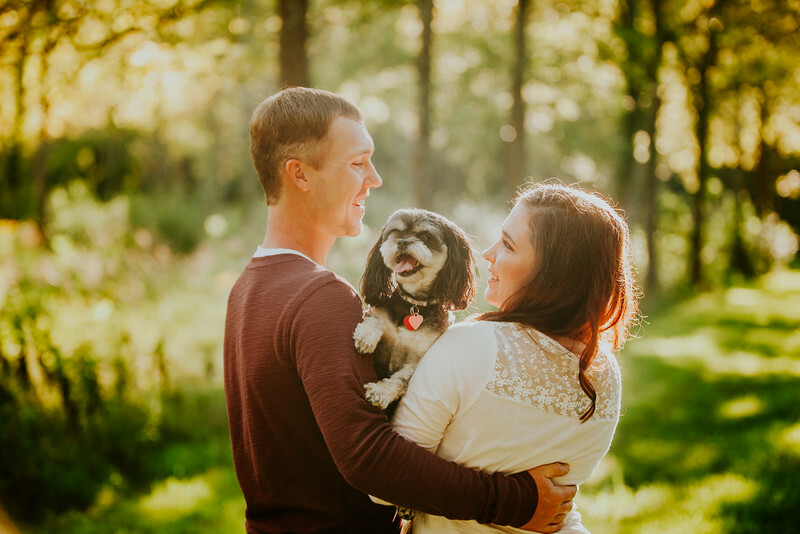 The first part of our session included their pup Emmy! She was a great listener and took direction very nicely. Emmy even played a big role when Cale proposed to Kristen. Cale took Kristen to the Top of the World in Manhattan, KS to pop the question. They were admiring the beautiful Flint hills with Emmy when Cale got down on one knee, and she said yes.